When you're a kid you can't wait to grow up and make your own decisions, but once your 20s start coming to a close you start praying for time to stop so you don't turn to dust like an increasingly tired vampire in sunlight. 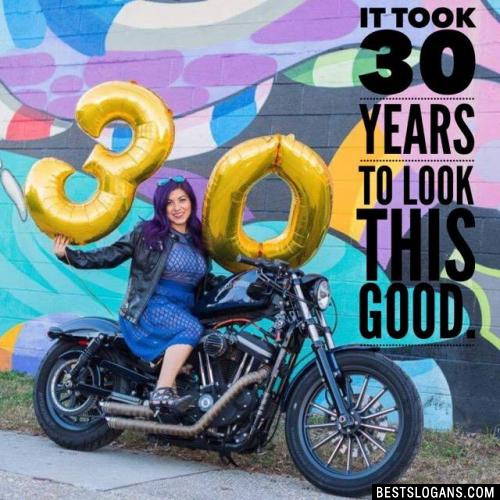 Here are a few things you can look forward to when you turn 30. You don't want to be out past 9pm. You're more ecited about shots of B12 than shots of alcohol. All of your favorite childhood shows are now considered classics. You can no longer eat any and everything and your body makes horrible noises. Hair starts growing in places you don't want. 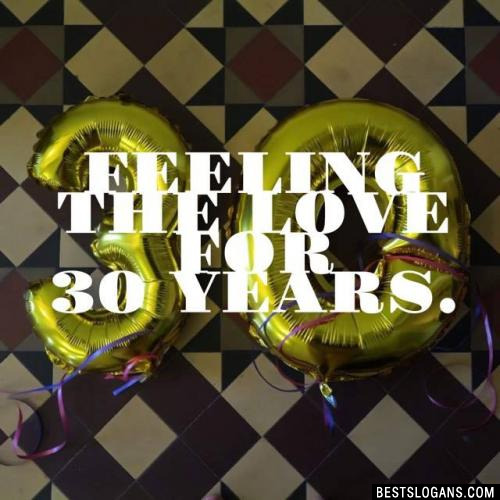 2 Being 30 is better than being 20 any day. 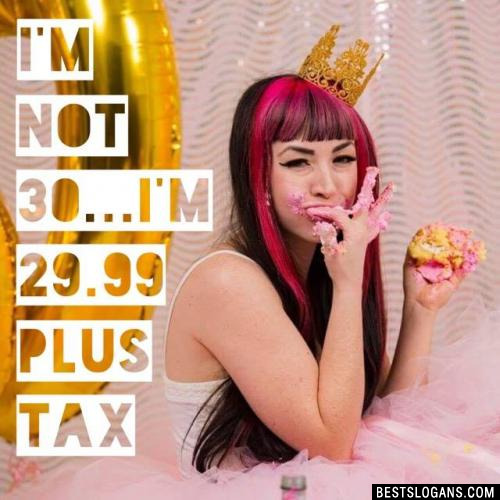 3 I'm not 30! I'm 18 with 12 years of experience. 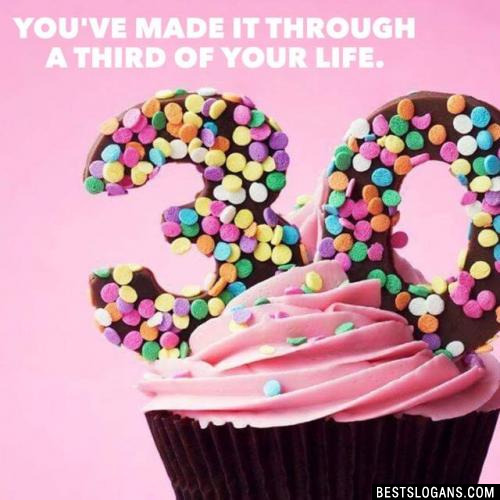 You've made it through a third of your life. 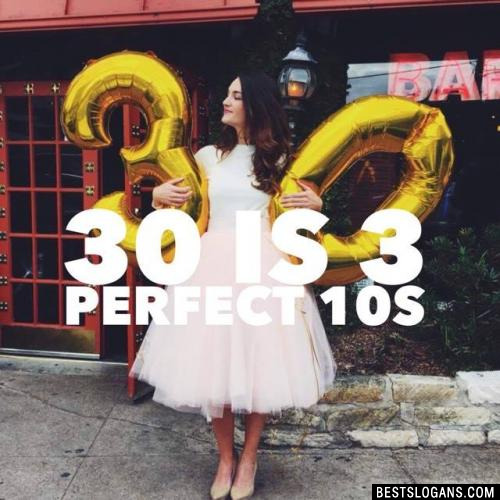 10 You're not 30, you're 3 tens. 12 The older I get, the better I was. 13 Life doesnt just begin at 30, it begins to show. 14 Its easier to get older than it is to get wiser. 16 I may be 30 but Ill always be flirty. 17 I dont have hot flashes, I have power surges. 18 Growing old is inevitable. Growing up is optional. 19 Few women admit their age, few en act theirs. 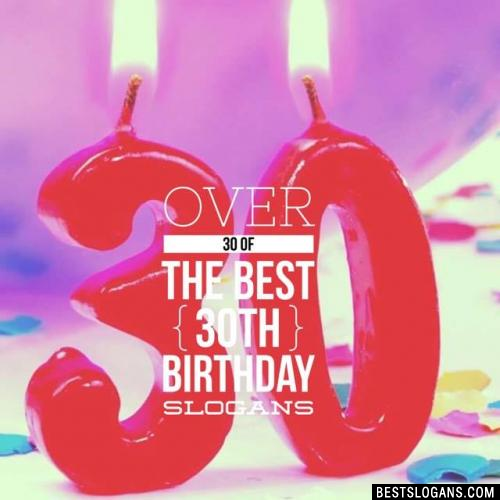 Can you think of a good 30th Birthday Slogans we're missing? Or come up with a clever one of your own. Please share below.